Dec. 17, 2018—Remember to power down before you leave the office or your home for an extended period over Winter Break. Your reductions in energy use can have a large impact when aggregated across the entire university. Nov. 19, 2018—Your reductions in energy use can have a large impact when aggregated across the entire university. Oct. 30, 2018—As little ghosts and ghouls prepare to come out in search of Halloween treats, be sure you don’t have any silent menaces lurking around your office or home tricking you into using extra energy. Jul. 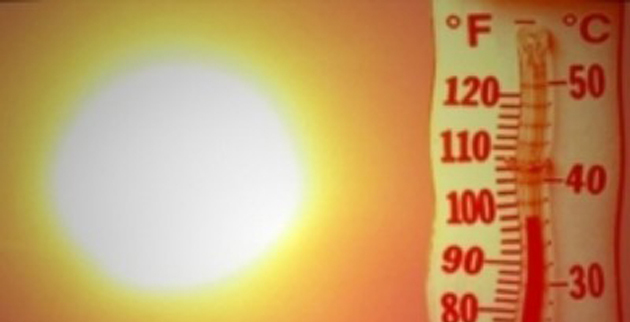 2, 2018—Don’t forget to power down before leaving the office or home for the holiday week, especially with the hot temperatures. Dec. 18, 2017—Remember to power down before you leave the office or your home for an extended period over the holidays. Your reductions in energy use can have a large impact when aggregated across the entire university. 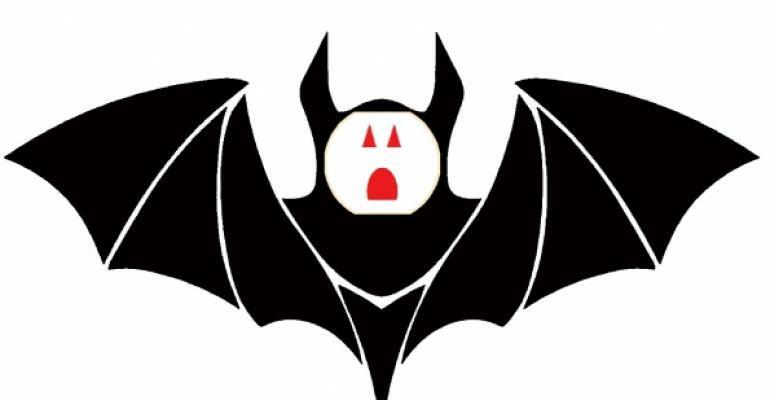 Oct. 27, 2017—Are energy vampires lurking around your home or office, tricking you into using extra energy? Find out which electronics are the culprits. Jun. 29, 2017—Let the fireworks be the only thing lighting up the sky this holiday weekend! Don’t forget to power down before you leave the office for the long weekend or your home for any extended period this summer, especially with hot temperatures. 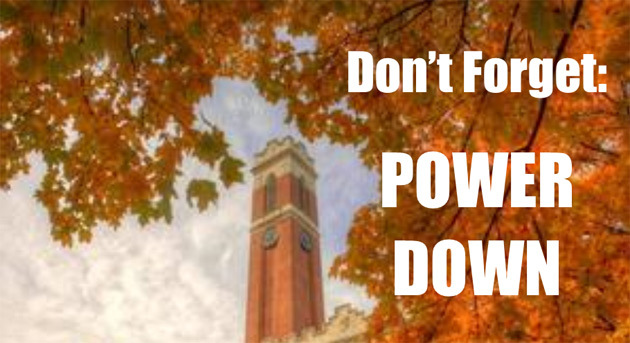 Oct. 7, 2016—Vanderbilt community members who are going to be away from their residence hall, office or home for an extended period of time over fall break should remember to power down before they leave. Doing so is a great way to reduce energy consumption and its impact on the environment. Jul. 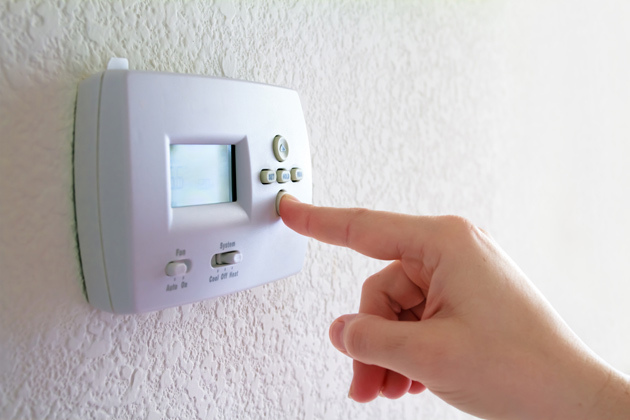 26, 2016—As the thermostat tops out this summer, don’t let your energy use follow the same trend. Jun. 28, 2016—Let fireworks be the only thing lighting up the sky this holiday weekend. Apr. 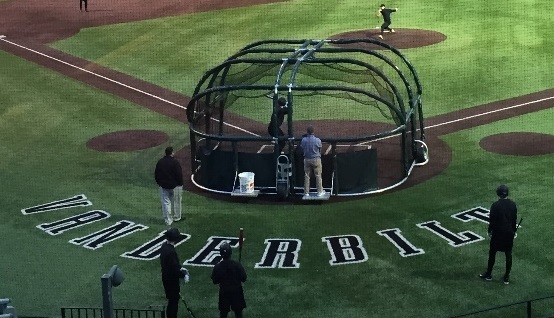 28, 2016—Hawkins Field, home of Vanderbilt’s national championship baseball team, has replaced all existing High-Intensity Discharge (HID) fixtures on the field with fewer Light-Emitting Diode (LED) fixtures. 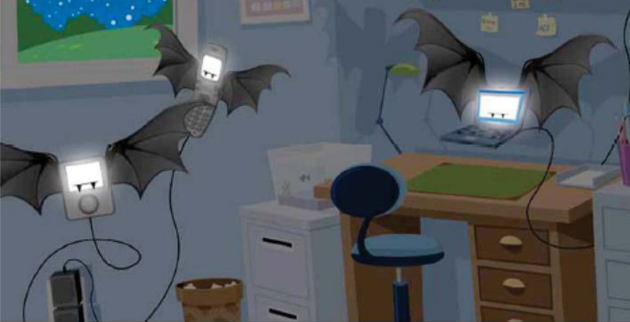 Oct. 26, 2015—As little ghosts and ghouls prepare to come out in search of Halloween treats, be sure you don’t have any silent menaces lurking around your office or home tricking you into using more energy.